The 1and1 affiliate program is a wildly popular partnership opportunity for those promoting web hosting packages, domains, and online solutions. Once registered through either of the affiliate platforms, affiliates gain access to a wealth of creative tools and resources. 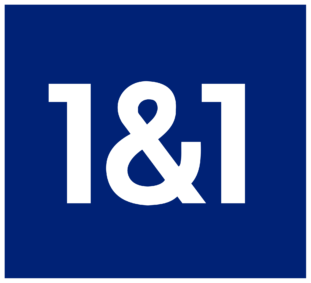 1and1 has done a stellar job optimizing banners, interactive media, and text links to maximize their affiliate’s conversion rates. The program is offered internationally though will require a different process per interested partner. Affiliates can expect to earn between $5 to $50+ depending which product is purchased. These commissions are validated and paid within 75-days of purchase. 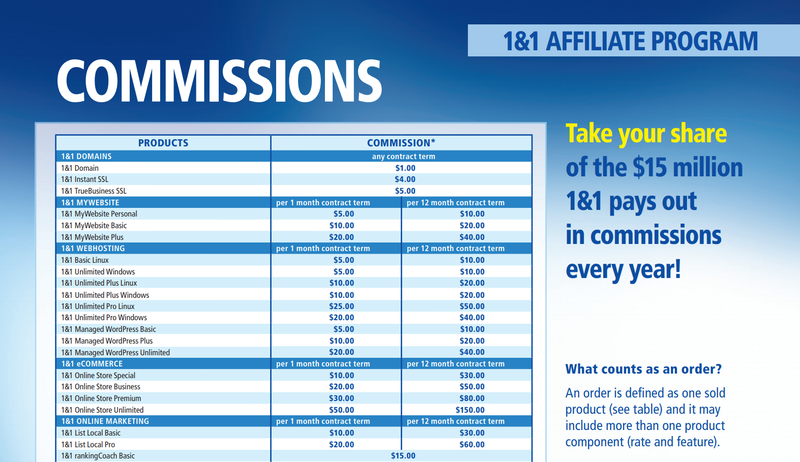 1and1 partners have earn over $15-million in commissions since the program’s launch. 1and1 Web Hosting is an ever-popular service offering everything one needs to launch a website. This includes cheap domain names, hosting, email, and web services. 1and1 is a one-stop-shop for webmasters with unbeatable prices and product selection. Newcomer’s to 1and1 greatly benefit from the incredibly cheap $0.99/1st year domain name. 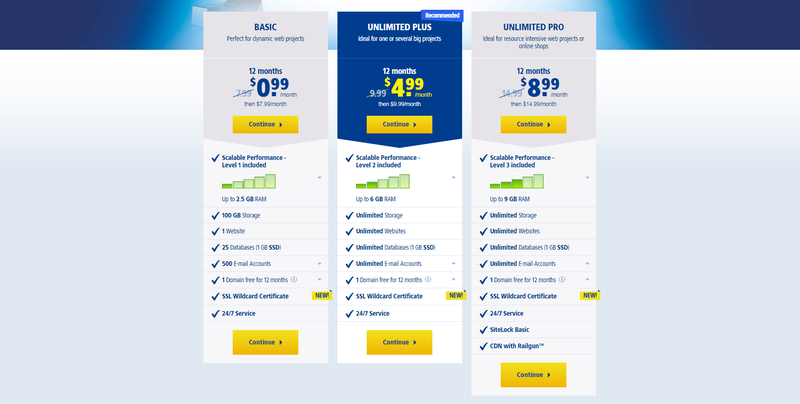 Their decision to come online is further incentivized with $0.99 hosting. The package is complete with website builders and options for Microsoft Office giving them a great entry-point for online business. Their web hosting solutions are top-of-the-line with the latest technologies. And, feature best-in-class performance scaled to customer needs. There’s a special soft-spot for 1and1 hosting as it’s been a recurring player in the web hosting market. And, on the radar of many web hosting affiliates. 1and1 has continued delivering incredible products and services offerings making them a top-player in its industry. Our main thoughts and impressions with this 1and1 affiliate program review are the sheer number of products and services you get to get paid promoting. Basically, everything featured on the site has a payout making it an easy promotion simply pointing people to the brand/website. We wish the payouts were higher for many items as competitors often pay better. That said, it’s hard to complain when you have the brand back of 1and1. Even with the 30-day cookie window, you’re still leveraging a web hosting brand that’s recognized by every webmaster. Can you make money with the 1and1 program? It’s hard not to. See our ‘Learn More’ link to read 1and1’s extended affiliate terms. And, consider joining the program if you’re in any way and form in the web hosting, website setup, blogging, or online business niches.